In my previous article, I touched on the observation that so-called “SCA Bardic music” contains a preponderance of modern music in various forms. There have been countless classes and round tables at Pennsic and elsewhere devoted to discussions of the “types” of songs found within the SCAdian repertoire, which ones are and aren’t “period,” and what the difference is among “Period,” “Perioid,” “Traditional,” “Folk,” “Filk,” and “Original” music in the SCA. This article is another brief discussion of that topic. Curiously, a similar discussion broke out recently on the SCA Bards Facebook group (period vs. non-period). While it was presented as a choice, most all the participants took a “yes, and, both” approach to the question. Though there was a huge amount of variation in terms of what people thought enhanced the SCA experience and what people thought detracted. This is not a discussion of what’s preferable or which types of pieces are appropriate for various settings. That’s topic for another day. This is more of a survey of the sorts of music one can find being performed within the SCA bardic community these days. Clearly, any music extant from within the scope of the SCA. Period music is diverse, rich, and if performed well or in the right context, accessible to a modern audience. Sometimes venues for period music are harder to find, though for ambient music, it’s almost always appropriate and a pleasant enhancement to a hall. Period music is relatively easy to find, but sometimes it takes a little research to verify that the version you’ve found is documented all the way back to period! Often only the lyrics have survived, so setting them to appropriate music can also be a challenge. There’s no single term that has been coined for this type of music. Essentially what I mean here is music or songs that “pass” for period, done in a period style, or that we can’t prove were from period but we have reason to believe may be that old. For scholars of period music, these pieces “sound” right or at least evoke the right feeling in their presentation. Near-period can also refer to something that is partly documented, and partly not, or something that is just outside of a period style but is otherwise inoffensive. A lot of broadsides and other extant music qualify within this category, as does the case where someone has created contrefait with a period or near-period tune, or has written a tune for period lyrics. Some also call this “perioid” but that term also gets used for other subsets of original music. Traditional music is one of the widest practiced and oddly, least accurately presented types of music. It could be thought of as “gateway” music, especially since it’s music that lots of SCAdians learned growing up or in early adulthood, and they are often highly misinformed about its authenticity. Lots of different music from the early 1700s up through the mid-20th-century has been labeled “traditional” because the names of its authors have been lost, or because it got collected by song collectors who did not get attributions, or because it has passed into public domain, or because the singers learned “a version” somewhere and don’t actually know the song’s provenance. The thing about traditional music is that a lot of it is really fun, singable, easy to learn, and easily accessed, so it’s prevalent and often well-received. However, it’s also fairly recognizable. Lots of traditional music also has enormous clues that it’s well post-period. Most Irish and Scottish “traditional” music is quite clearly in this category. This is the period term for the practice of taking an existing tune and writing new lyrics to it. Broadsides were also composed the same way: by writing lyrics that could be set to popular music of the day (and sometimes more than one tune. It was not unusual for a broadside to list a number of “excellent tunes” to which one might sing the words). The SCA has, somewhat incorrectly, adopted the term “filk” for this practice. There are a number of reasons the term “filk” is controversial, and in fact, offensive, to some. “Filk” was supposedly a typo once upon a once, when someone trying to put a “folk music circle” into a con program misspelled it. The misspelling stuck. So “filk” as it is used outside of the SCA is not confined to rewritten lyrics to an existing tune. In the Sci-Fi-Fantasy Convention circuit, “Filk” is a catchall term meant to include any and all music of interest to the subculture. But in the SCA, “filk” is also considered by many to be a pejorative term. I believe the major reason it elicits that reaction is that “filk” in the SCA has become synonymous with works that are not as serious, or not as appropriate, or that otherwise “break” the medieval experience for other listeners. I think it’s unfair to paint all “filk” with the same brush, but I’ll cover that another time. I will have a whole article on contrefaits and filk and such at a later date. For now, suffice to say, contrefaits can be “period” if they borrow a tune from period, but since it’s always new lyrics, those are always going to be post-period, but might be perioid. There are two segments of original music which have always been around in the SCA, but which continue to grow and change the bardic repertoire. The first of these is the “Historically-inspired” original song. These songs take their topics from period sources, but have been reinterpreted by an SCA artist and repackaged in an original tune. Some also refer to this type of music as “Perioid” – meaning that for most audiences, it “passes” for period even though it was written recently. 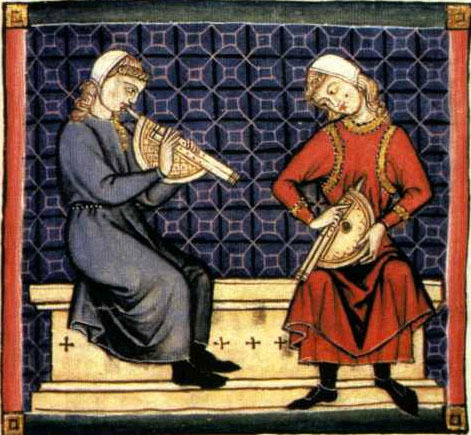 Many of those tunes are themselves “perioid” in the sense that they evoke the right “feeling,” even if they are not written in a Medieval or Renaissance mode (more on modes in another article!). Sometimes the music and lyrics are more impressionistic, such as a song written from the point-of-view of an historical or legendary figure, and sometimes they tell the story of the original source material in the artist’s own way. These are new songs on old themes, entirely appropriate to the SCA’s area of study. The final type of music is original songs written for and about the SCA’s people, life, culture, and so on. 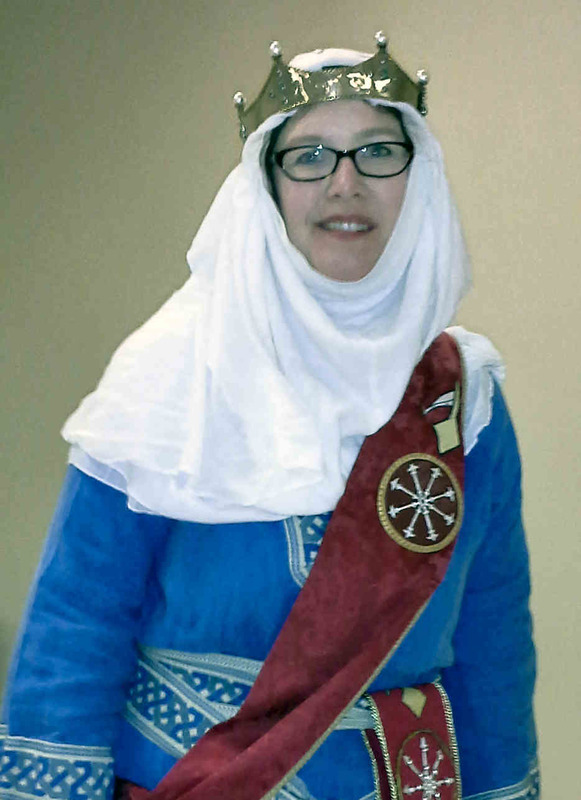 Patriotic songs about kingdoms or local groups, songs that uphold SCA traditions such as Crown Tourney, songs that venerate a particular person (for example on the occasion of a peerage) – these are an act of preserving the history of the SCA itself. As with the historially-inspired songs, they are being written currently, almost always in very basic, singable modes, rather than in courtly or church modes. These songs add to the fabric of the SCA and often help to create the illusion of the “Current Middle Ages” in that they provide a pride of place and character intrinsic to the conceit that “AEthelmearc,” “The East,” “The Midrealm,” and so on, are just as “real” as New York or the United States. Without making value judgments as to which type of music is “more” appropriate, since all of them have appropriate places, uses, and audiences, it’s easy to see why so much bardic music “feels” modern. However, consider that original music of both historial or SCA subject matter can be “perioid” – if it’s done well, it can almost pass for period. At the very least, it doesn’t “jar” one out of a medieval context. Some contrefait can be written to actual period tunes, leaving only the lyrics to alert the listener to modern use of language (and again, depending on the lyrics, that may be indistinguishable, too). So the types of music one can encounter really can intermingle. Without those three things, it doesn’t matter whether the piece is period, perioid, or written last week. And it’s those considerations that dictate the appropriateness of a specific piece for a specific venue. Thank you for this informative, inclusive and unbiased piece regarding bardic music.